All funds have to be domiciled somewhere, however territories vary enormously in terms of investor protection legislation. Within Europe we have an almost unlimited choice of funds and have access to some of the most protected territories in the world. Why then would anyone wish to invest in funds based in faraway territories such as the British Virgin Isles, or the Caymans that don’t have robust investor protection in place? Although there are many funds based in these territories which are well managed and have good track records, it is an unfortunate fact that many ‘duds’ are also based there. On the other hand, most of Western Europe and associated offshore territories such as the Channel Isles and the Isle of Man do have strong investor protection in place along with established processes and procedures to follow should anything go wrong. Beware of funds that are unregulated. 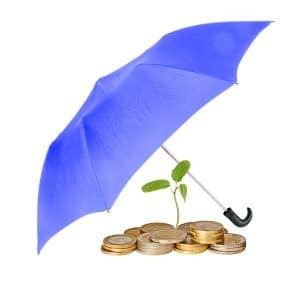 If a fund is a ’UCIS’ (Unregulated Collective Investment Scheme), your right to protection becomes severely limited irrespective of where the fund might be domiciled. Indeed, the Financial Conduct Authority in the UK has banned the sale of such funds to anyone with less than £250,000 to invest, or to individuals who earn less than £100,000 per annum. This type of fund should only be purchased by ‘sophisticated investors’ who can demonstrate that they fully understand the structure and are willing to waive any rights of redress should one fail. We have witnessed many such funds collapse or close their doors to redemptions in recent years. Sometimes it is easy to see the hidden risks from the outset, but all too often these funds are marketed using emotive language and pledges of guaranteed returns and capital protection. Remember, it’s always easy to get into these funds, but rarely easy to get out when things go wrong. The fund managers are always well ahead of the general public and will close a fund long before you will be able to get your money out. As a rule of thumb, you should be very careful when offered esoteric investments such as those which use excessive leverage (borrowing), have limited liquidity, or depend on markets you can’t possibly be familiar with. Examples such as fine wines, off-plan property overseas, and loans to lawyers are recent examples; however there are many more out there. It goes without saying that the company who manages or holds your investments should have an enviable track record and the financial strength to be able to provide redress if/when problems arise (assuming they are at fault of course). Sadly, almost all of the funds and investments we’ve seen fail recently have no such protection in place, as many are start-ups which depend entirely on their particular theme working as designed to do. As mentioned previously, funds can be closed very quickly and the main perpetrators of the failure can disappear into the ether. One indicator of financial strength is that of liquidity. In other words, how quickly can you redeem your investment? If a fund is traded daily, you should always be able to access your cash with a minimum of delay. However, if your funds are valued on a weekly or even monthly basis, you are taking additional risk which should in most cases be avoided. Some funds even have a 3 month redemption period, which means that you may have to wait quite a while before getting your money back. Well managed equity and bond funds are priced daily; this doesn’t protect you from adverse market movements, you can however be confident that your money isn’t going to be locked away for an indeterminate time. I am aware of funds which closed more than 3 years ago; some are still inaccessible with no sign of any immediate change. Unfortunately we hear stories of unscrupulous advisers all too often. You should always question if you are being advised to invest in an asset class such as property in the Ivory Coast. Could it be that the adviser is being paid an extra commission? You bet it is! These commission payments are known as ‘soft commissions’. This is a rather warm and fuzzy description of extra payments made to advisers for funds which may well end up having a hard and nasty fall. The EU has introduced new regulations banning this form of commission payment from 2015 onwards; it is about time too! I predict we will see a severe drop-off in the purchase of such funds as adviser inducements are withdrawn. In general, equity and bond fund managers do not offer extra commissions when investments are managed within an insurance wrapper or fund platform. Advisers are remunerated either on a fee basis, or on commission paid by the product provider. Good advisers will earn their fare using some combination of commissions, fees and on-going advice payments. It isn’t rude to ask your adviser how he/she is remunerated. Remember, all non-standard funds do pay soft commissions; you have a right to know what this amounts to. There’s not a lot an adviser can do after the event if asked to try to unravel problem portfolios; you should therefore make sure you do everything you can from the outset to protect yourself. The 4 layers test on how to protect your investments described above are the bare minimum you should expect. There are additional indicators which would raise alarm bells. In particular, never purchase an investment emanating from a cold call. The very worst of the investment scams we see all start this way. I can remember clearly a client telling me about a call he received from a ‘boiler room’ in Spain just after the first Gulf War had started. The pitch was for ‘penny shares’ in a fictitious American company which the caller claimed had invented the smart technology that enabled ‘precision bombing’. He boasted that these shares were just about to take off and that my client’s money would multiply by 10 or more times if he were to invest. It turned out to be a complete con; had my client invested in it, he would have lost everything. If an adviser cannot qualify any of the 4 layers previously mentioned, you should pause for thought before investing. There are always other investments that are better protected to choose from, and any number of advisers. Finally, you should remember the old investment maxim: if it looks too good to be true, it probably is!